Record Name Scooped curvilinear enclosed settlement and field system, west of Swale Hall. Record Description Curvilinear (Sub-circular) stone walled enclosed homestead settlement comprising deeply scooped, levelled platform approximately 30m diameter internally with rear scarp and front apron, originally stone revetted-now largely quarried of stone, recessed into the north facing hillslope. Four visible stone founded round houses within. 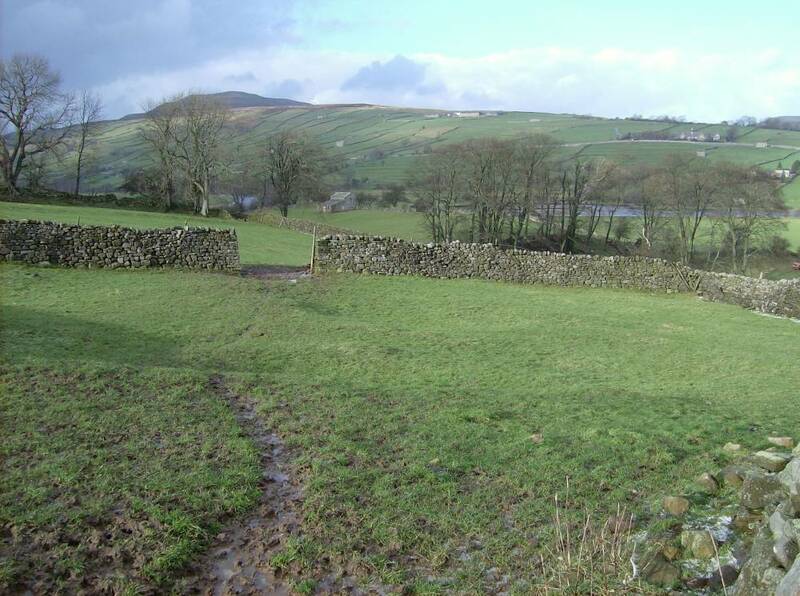 Located at the corner of a modern stone walled pasture and overlain by a farm access track. This homestead is within a low stone banked and deeply lynchetted field boundary system which is probably contemporary. Site B on Harkerside Inter-dike zone Interim Sketch Plan. 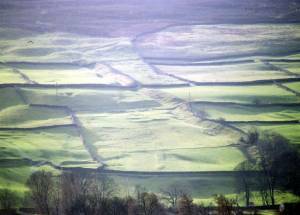 Swaledale Ancient Land Boundaries Interim Report 199*, Figs.1 and 2. Image 1 Description Settlement west of Swale Hall. Image 2 Description Settlement complex west of Swale Hall. 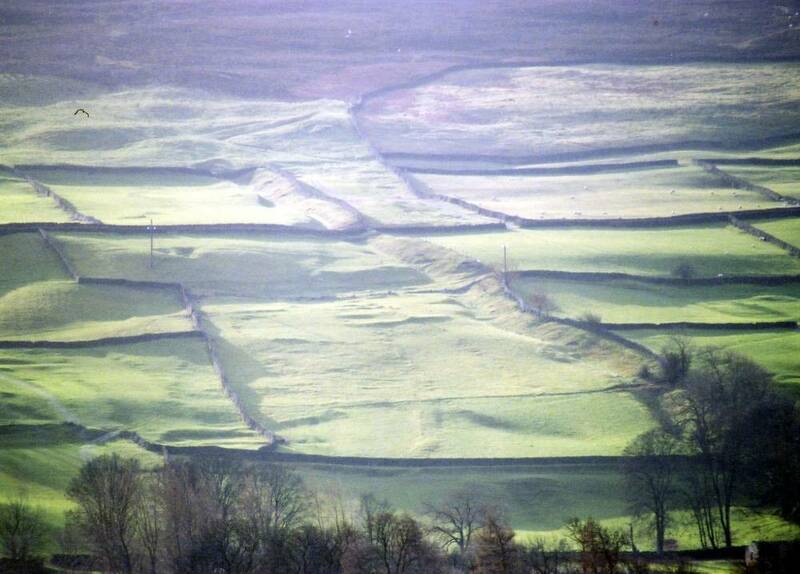 Linear earthwork slights settlements and field system of Romano British character.